How was I to know that there exists a gem of a restaurant just 10 minutes drive from where I live and at most a half-hour from the city proper on a good day? 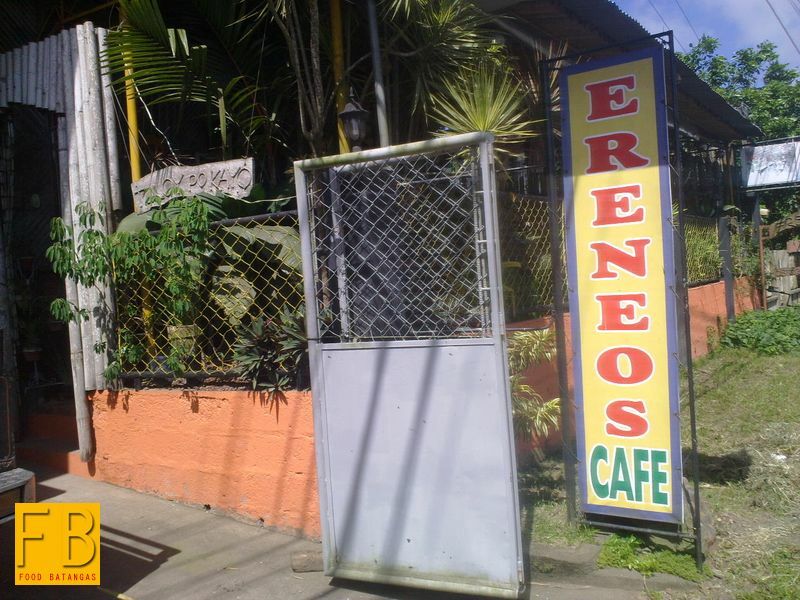 The name of the restaurant is Ereneo’s Café. While former colleagues had apparently been there before, if any of them had seen fit to invite me, I probably had to be at the football field. Lunch there today was totally unplanned; and just as totally unexpected! A friend celebrated his birthday the other week; and promised to treat me last week. Well, you know how things are with working people. In fairness, he didn’t forget; and called me up first thing in the morning to say we were going to the Eatery. Don’t get me wrong. The Eatery would have been fine. I have eaten there plenty of times before. The food is good and the price reasonable. But in terms of ambience, it is no more than plebian. This is not to say that Ereneo’s is at all high end. 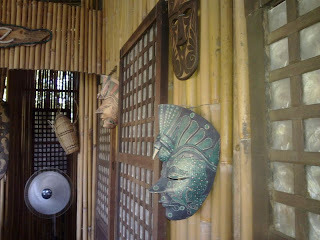 On the contrary, the place had the look and feel of several households enterprisingly converted into restaurants. When my friend told me that we were going there, instead, my immediate concern was that he might not make it back in time for afternoon work hours. 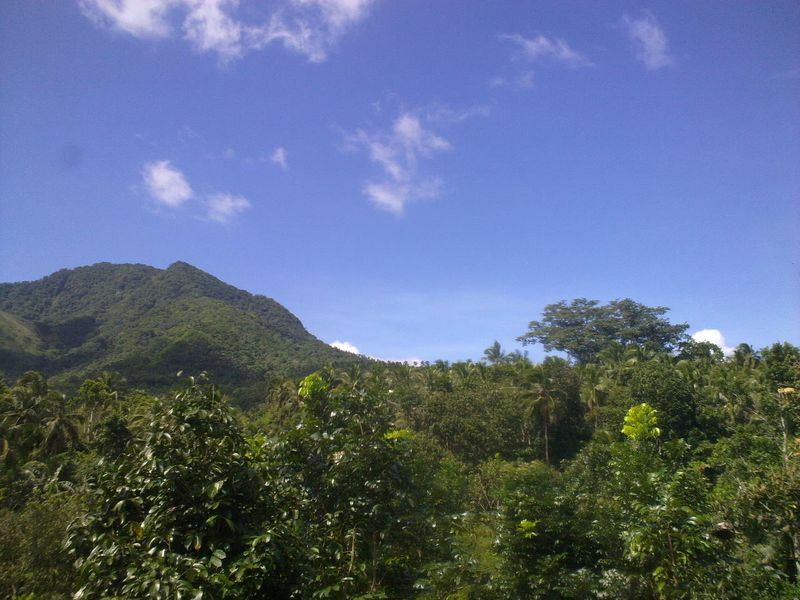 The place, he told me, was in Cuenca – a small municipality in Batangas. But it is just on the outer fringes of the town, he assured me. Indeed, I must have passed the place a hundred times and never would have guessed that there was a restaurant in there. 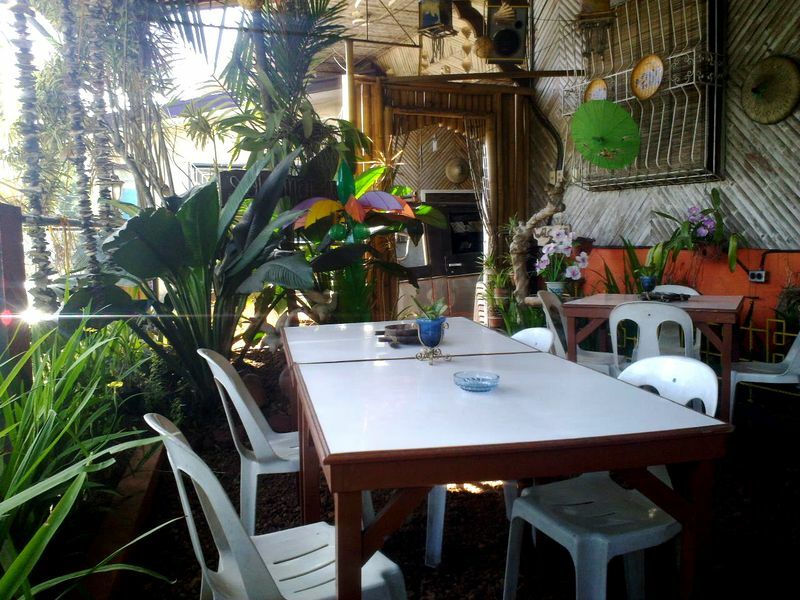 The first eating area to the front of the place right next to the highway had the look of a glorified lomi haus: bare white table tops, monobloc chairs. Some thought was given, though, to décor. The bamboo motif was lovely; ditto the lanterns hanging from the ceiling. My friend said that there was a great view of Mt. Maculot at the rear. So, I asked to see. 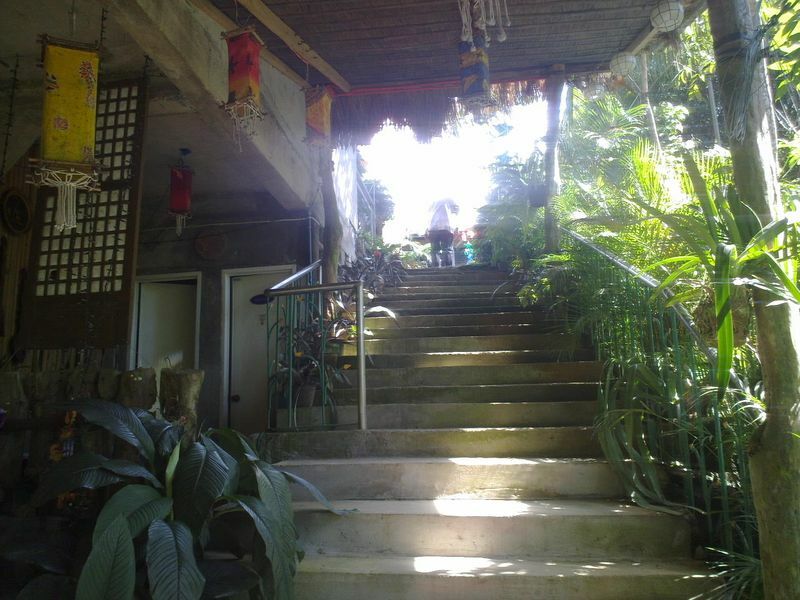 We had to pass through the owner’s residence to get to the back; and there was a two-storey building that looked more like a mountainside house. First, I went down a flight of stairs; and was surprised that there was, indeed, another eating area there. There were more tables, each one covered with checkered cloths. A bit gloomy, perhaps. My friend asked me back up the flight of stairs to point out a view of the mountain. There it was; albeit, it was obscured by the leaves and branches of trees. Pity I didn’t know that we were going there; else, I would have brought my digital camera. Curiously – but probably since it was a lazy Monday – we were the restaurant’s only guests. That agreeable lady who probably doubled as both waitress and cook invited us to the the second storey. My friend, who had been to the restaurant many times before, didn’t even know there was an eating area there. My word! What a gem of a find! We walked up a bamboo walled flight of stairs to this cosy little place that had capiz shell pretend windows, Filipiniana wall décor and a long food table lined with large earthen pots. Above all, there was a veranda on which one could stand to gaze at an ocean of trees, at the near horizon of which majestically rose the Maculot. 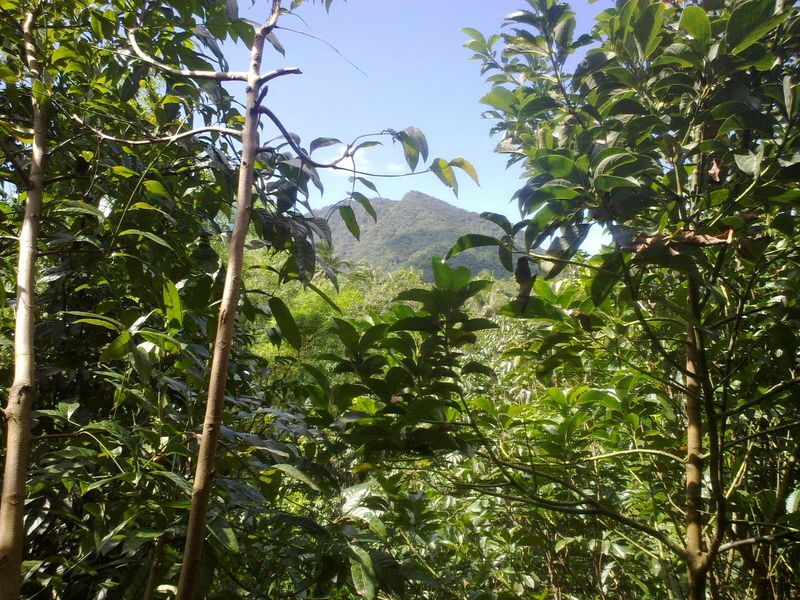 It was an angle of the mountain that I had never seen before; and it simply took one’s breath away. Of course, we went there for the food. 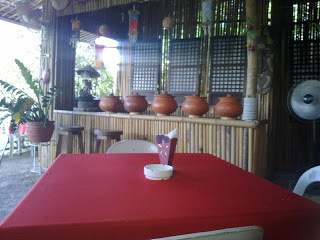 First to arrive was the sizzling sisig. I have tried sisig in countless restaurants and fastfoods before. 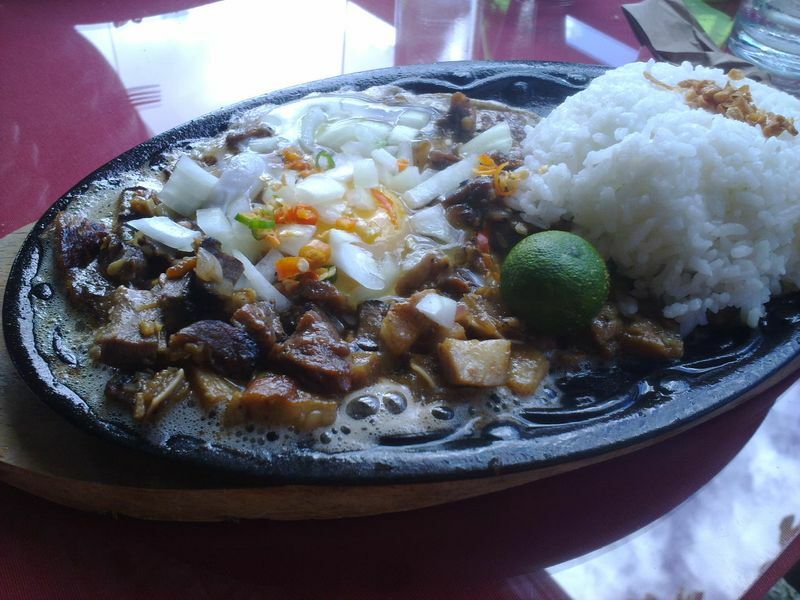 But the one served to my friend and I by Ereneo’s Café was simply – bar none – the best sisig that I have ever tasted. There was also this second dish that my friend ordered that was humorously called the pancit alangan, the lame explanation being that it is neither pancit lomi nor pancit canton. The noodles were canton; but there were slices of kikiam and liver as well. It tasted peculiar but in a very, very nice way. 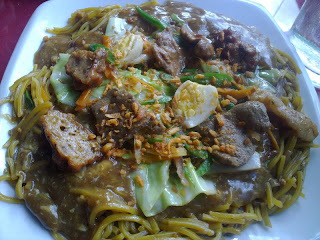 Were it not for the sisig, I would not have minded having a whole plate of the pancit alangan to myself. 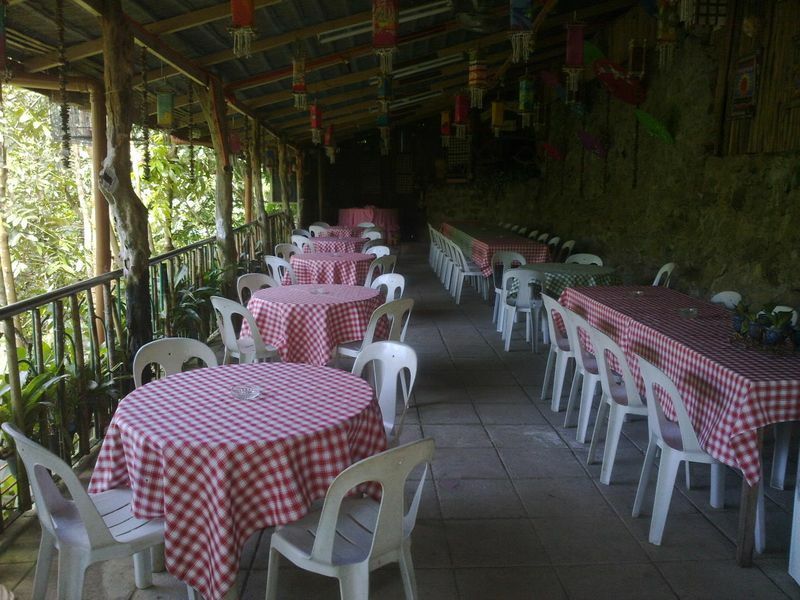 For those who have been made curious by this post and would like to try the place out, I was careful to ask the waitress for the restaurant’s location: Purok 1 Cuenca Ibabao. To the right of the road if you are driving from Lipa. I cannot tell you more about the food than the two dishes that my friend and I had; but this early, I just know that I will be back.